MSPs opposed the Prime Minister's deal by 92 to 29 in a symbolic but historic vote. The Scottish Parliament has voted emphatically to reject the Prime Minister's Brexit deal. 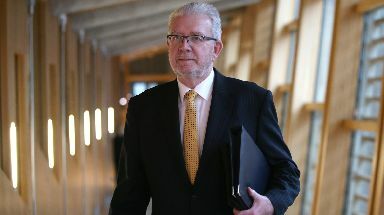 The symbolic but historic vote in Holyrood saw MSPs vote by 92 to 29 in favour of a motion stating the parliament's opposition to both Theresa May's deal and a no-deal Brexit. The motion was a joint position agreed by the SNP, Scottish Labour, the Scottish Liberal Democrats and the Scottish Greens. Only one of Holyrood's five parties, the Scottish Conservatives, opposed the motion and defended the Prime Minister's agreement with the EU. The result on Wednesday arrives as MPs begin the second of five days of debate at Westminster ahead of the vital meaningful vote on the deal on December 11. It also comes after the Welsh Assembly expressed its opposition to May's Brexit deal on Tuesday in a vote in the Senedd. Introducing the motion at Holyrood, constitutional relations secretary Michael Russell said the Brexit deal would leave parts of Scotland "severely and permanently damaged" due to a reduction of EU migration. 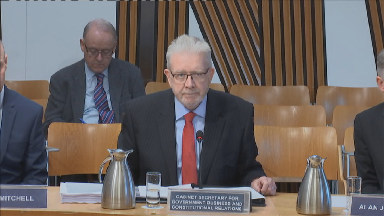 The motion means Scotland "rejects both the Prime Minister's deal and no-deal and instead looks to its politicians for a better way forward", he said. Russell added: "It is important those those politicians, including ourselves, do not let the people down." Beginning the debate for the Tories, the party's constitution spokesman Adam Tomkins said "no credible alternative" to May's deal "has even got off the ground". Tomkins pointed to the day of the UK's exit from the EU - March 29 next year - as a legally enshrined fact. He said: "Either we leave the European Union on the basis of the orderly Withdrawal Agreement the Prime Minister and her team has negotiated, or something very close to it, or we crash out of European Union on a no-deal basis that would be a disaster for the economy. "Those who would prefer to reject this deal must confront the plain legal fact: that their actions serve only serve to make it more likely that we end up crashing out of the European Union on a no-deal basis." 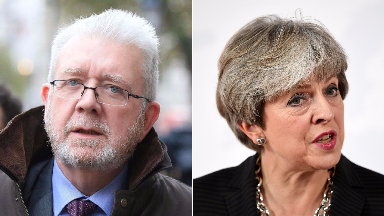 The Tory MSP accused Labour and the Lib Dems of getting "hoodwinked" by the SNP into backing the campaign for Scottish independence. 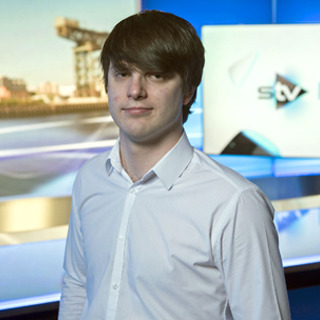 "Ever since June 2016, Nicola Sturgeon's SNP have been trying to weaponise Brexit," said Tomkins. But Scottish Labour's Brexit spokesman Neil Findlay mocked Tomkins for not taking any interventions in his opening speech, saying he was "afraid to take an intervention from a former bricklayer, a former used car salesman and a Liberal Democrat". He continued: "On Tuesday (December 11) the future of our country will be determined, and one thing is clear. "With 100 Tory backbenchers opposed, the Prime Minister's deal is indeed doomed." Findlay added: "The Prime Minister should admit the game is up and let democracy prevail in a general election." Leading for the Scottish Greens, Ross Greer said: "It's a bad deal for Scotland. It's a bad deal democratically, economically, environmentally, societally, culturally and so much more. "It's a bad deal for every part of the UK and it was dead on arrival in the Commons." The Liberal Democrats' Tavish Scott described the Scottish Tories as "lemmings rushing for the cliff edge" for backing May's Brexit deal. Their "unapologetic support for the Prime Minister and the Withdrawal Agreement is ludicrous... because the Prime Minister will be defeated by her own side", he said. "What don't they understand about what's going on?" Scott added. He said Tomkins only took no interventions because "he didn't believe a word of what he said in the debate".